Our survey indicates that an astonishing 62% of Canadian eBusinesses, almost two-thirds, do NOT have a formal innovation process or program in place in their organization. This is surprising in a market where waves of disruption – new technologies, new business models, increased business agility, and evolving customer expectations – are the norm. It is also surprising considering that only 2% of respondents indicated that innovation was not a priority. We believe this lack of innovation process is a major contributor to the relative underperformance of the average Canadian eBusiness. For Canadian eTailers, in particular, this lack of innovation manifests itself in an unhealthy focus on competing on “price and delivery”. Because of the limited scale available to most Canadian eTailers (see earlier in the report), a focus on price and delivery is unfortunately not a sustainable long-term strategy. 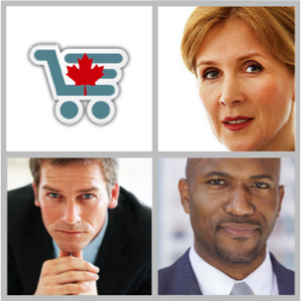 To get beyond “price and delivery”, Canadian eBusinesses need to become more adept at building innovative, value-added offerings. There is a common misperception that innovation is tied to R&D. In fact, under the right conditions, innovation can occur in all parts of an organization. Roger Martin wrote an excellent HBR article “The Innovation Catalyst”7 on how Canadian software company Intuit became an innovation machine by developing a robust innovation process. In its simplest form, an innovation process includes three steps: Ideation, Evaluation, and Realization. From our experience with the Canadian Innovation Centre, ideation is not the biggest challenge for most Canadian businesses. Most organizations generate sufficient numbers of new ideas through employees, suppliers, customers, and other stakeholders. For most Canadian organizations, the problem is an absence of a formal process to collect, evaluate, and manage those ideas. In our view, every Canadian eBusiness can become an “Innovator” by implementing a robust innovation process and culture that leads to a balanced portfolio of incremental, evolutionary, and revolutionary innovation. In the University of Toronto’s new eBusiness Management Certificate program, we stress the value of innovating not just in products, but also in services, processes, organization, and business models. The bottom line: You don’t need to have a Steve Jobs leading your organization to be an Innovation leader. But you do need a robust process.